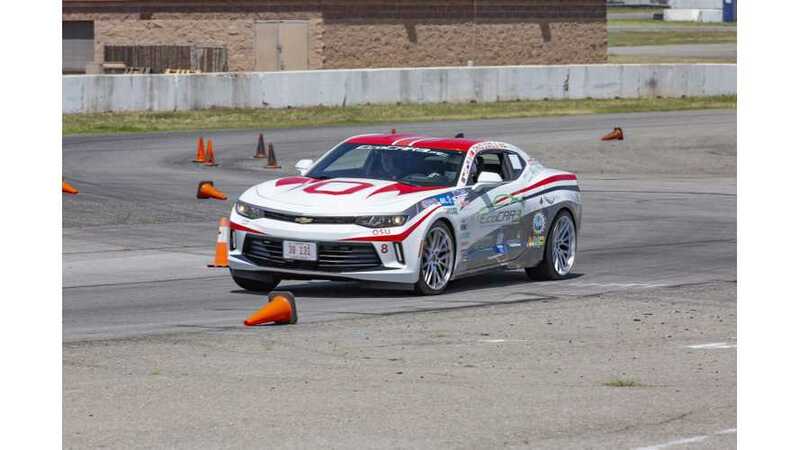 The Ohio State University won (for the fourth consecutive time) the final year of EcoCAR 3, an Advanced Vehicle Technology Competition, sponsored by the US Department of Energy (DOE) and General Motors. 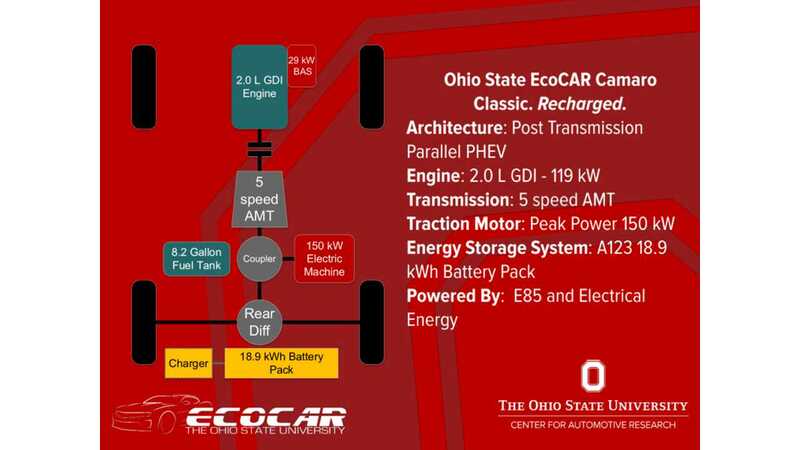 The Ohio State University named EcoCAR 3 Year Four winners. In total, 16 university teams were redesigning the 2016 Chevrolet Camaro to reduce its environmental impact, while maintaining performance and safety. The car's powertrain is a a series-parallel plug-in hybrid with a 150 kW electric motor, 18.9 kWh A123 battery and 2.0-liter engine (powered by E85) with five-speed automated manual transmission. Up to 40 miles (64 km) on a single charge is achievable. "EcoCAR 3 exemplifies DOEs commitment to STEM education and supporting the next generation of American innovators. The creativity and talent displayed by the students in the EcoCAR 3 competition is what will keep America's transportation sector moving forward." "EcoCAR3 is a great program that fosters future generations of automotive engineers and business people, encouraging them to become true innovators. This year's winners – and all the teams – are proof of that. It's a competition that GM is proud to support."